Thanksgiving arrived early for hundreds of people living in southeast Houston. 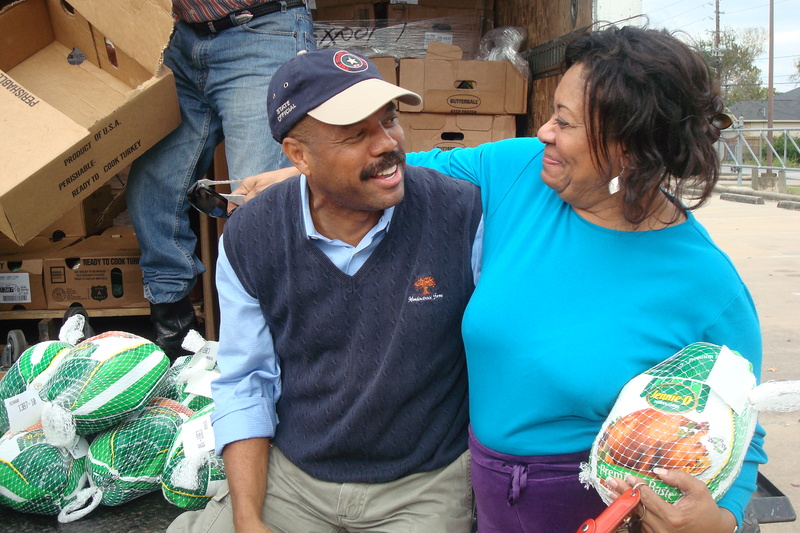 In the spirit of the season, State Representative-Elect Borris Miles (D-146) handed out 1000 turkeys at five different locations on Saturday afternoon. 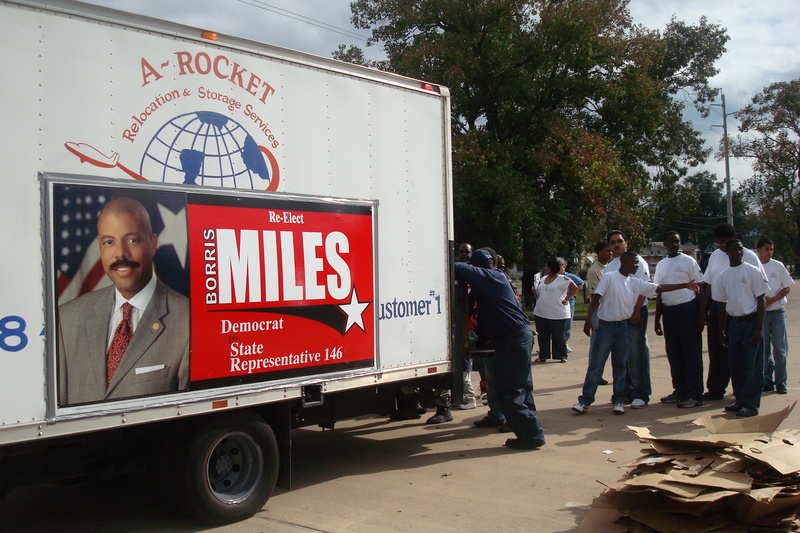 Miles and his group of volunteers rode around in a white box truck making stops that included Third Ward, Sunnyside, South Park and South Acres. 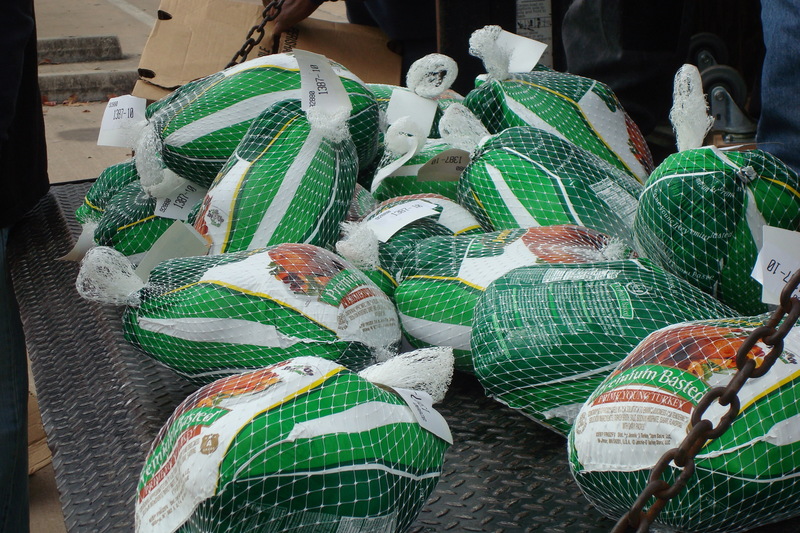 News about the turkey giveaway spread quickly and people lined up at each location. 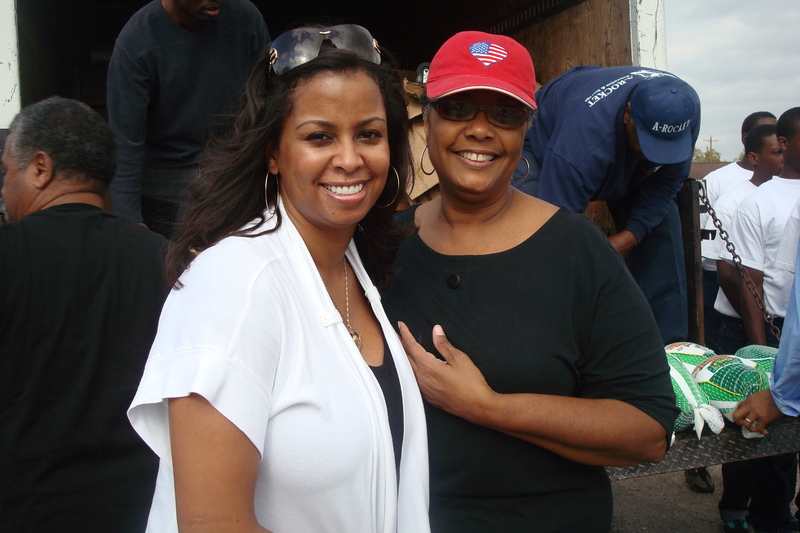 “It helps out a lot when you have a big family,” said Sonja Johnson. 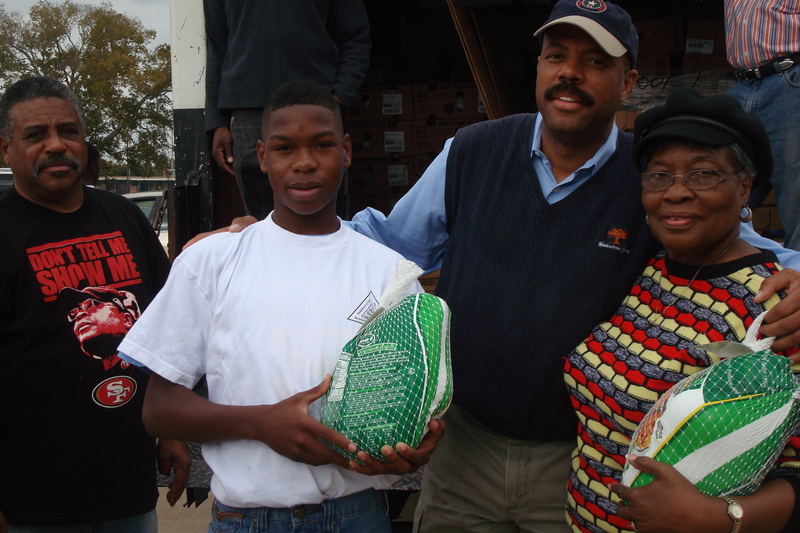 Johnson said this was her first time to receive a free Thanksgiving turkey,however, this is Miles sixth year handing them out to people – no questions asked. “I started this before I was an elected official,” said Miles. “I wanted to give back to the community and make sure that families could have a good Thanksgiving meal.” Miles, who calls himself a product/son of Sunnyside, also said he is concerned about the economy and didn’t want families in need to go hungry or without a traditional feast this year. 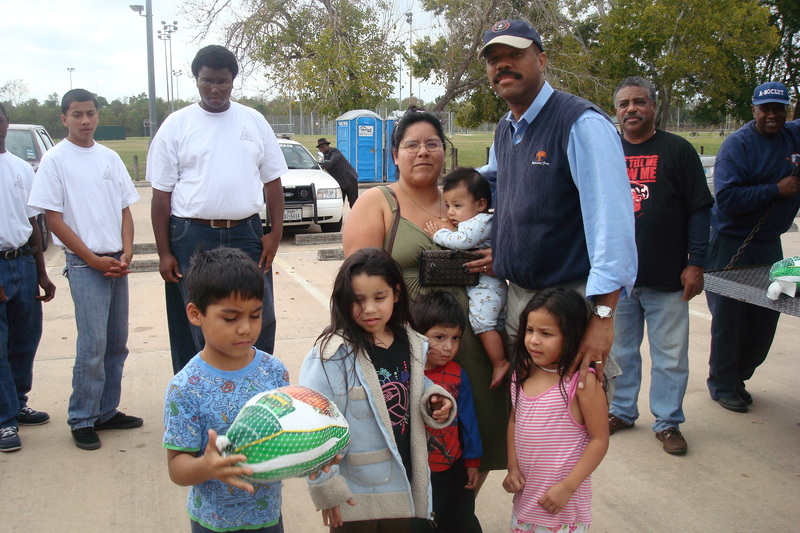 Miles, who was elected to a second term on November 2, said he conducts the turkey handouts in conjuction with his TX Stars Foundation. The foundation also sponsors educational events and the Hip Hop for HIV awareness campaign. 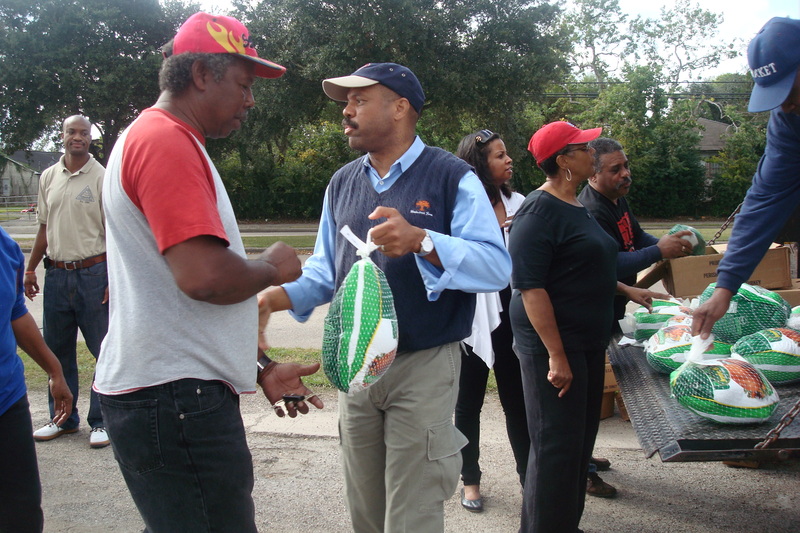 Miles was joined at the turkey giveaway by is wife, mother, Theldon Branch, Jeri Brooks and many other volunteers. This entry was posted on Saturday, November 20th, 2010 at 4:17 pm and is filed under Uncategorized. 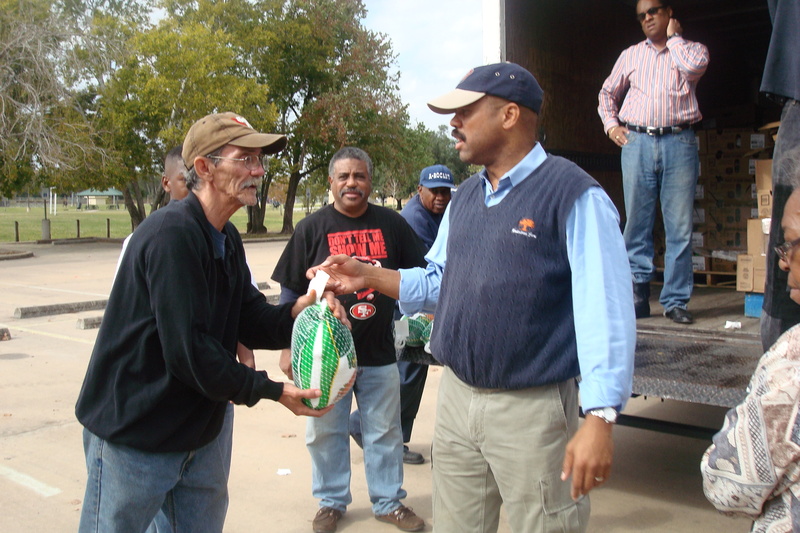 Tagged: Jeri Brooks, State Rep. Borris Miles, Sunnyside, Thanksgiving traditions, Theldon Branch, Turkey giveaway. You can feed this entry. You can leave a response, or trackback from your own site.